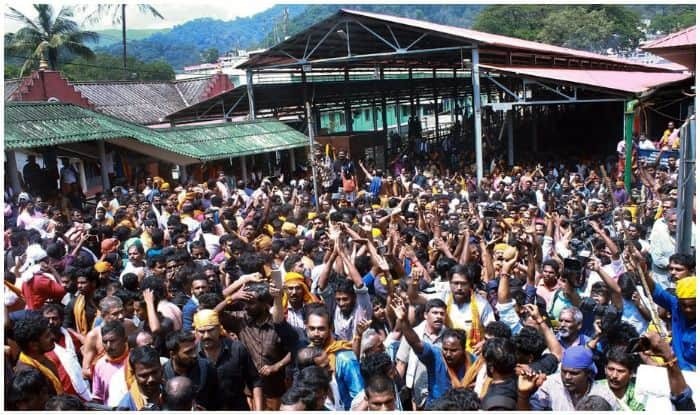 Makaravilakku festival preparations have already begun at Sabarimala in Kerala. The purification rituals were held on Saturday, January 12, 2018 as the part of the festival which included Prasadasudhi ritual which was performed after deeparadhana ritual on Saturday. On Sunday, Bimbasudhi was also performed before Uchapooja. The sacred ornaments of Lord Ayyappan, Thiruvabharanam will be brought to the temple during a procession at 6:30 pm today. After the procession, Deeparadhana and Makarajyothi darshan will be followed by Makara Samkrama pooja which will be held at 7:52 pm. On Friday, Kalabhaabhishekam will be performed and there will be no ghee abhishekam thereafter. On January 19, Guruthi will be performed at Malikappuram temple after closing the temple and the two month Sabarimala pilgrimage will be concluded with the closing of the temple on January 20. Makarajyothi is a star which is worshipped by pilgrims on Makara Sankranti on January 14 every year. It is the star Sirius located in Canis Major constellation.